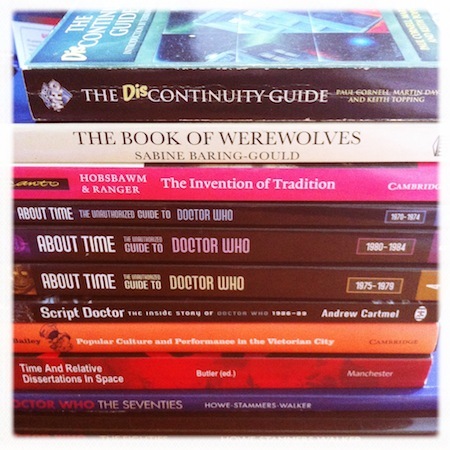 that looks (un)surprisingly like my pile of research books – excluding the werewolves natch. I always assumed it was so you could make people call you ‘the Doctor Doctor’ without having to go to Germany and get two PhDs. Time and Relative Dissertations in Space. Cute.